A beautiful apartment adjoined to a large rambling country house set on 10 acres of private grounds that overlooks the fantastic Cork Coast line less than 3 miles from Cobh, 16 miles from Cork City. The apartment has a cosy lounge and kitchen/diner. Excellent for walking and the small pebble beach is popular for sunbathers. Local attractions include Fota wildlife park, Titanic experience, Queenstown Story, Spike Island historic tows, Harbour boat trips, Cobh Cathedral and Midletown whiskey distillery. There is a local train service into Cork city. Cobh has numerous restaurants and pubs, craft shops and traditional Irish music sessions.Shop 3 miles. Pub 1.5 miles. Restaurant 3 miles. Beach 200 yards. GF: lounge, kitchen/diner, utility room, 2 doubles, bathroom with shower over bath.Electricity and oil central heating included, linen and towels included, TV, dvd player, fridge/freezer, microwave, realistic coal effect fire, w/machine, dryer, internet access, hairdryer, welcome pack, open plan shared garden, garden furniture, private off road parking. Sorry no pets. Shore side Country Residence - All Inclusive - Free Wi-Fi. Excellent apartment in a beautiful setting. Peaceful and relaxing, beautifully presented and lovely hosts. The property is absolutely gorgeous and the hosts are incredibly thoughtful & friendly!! I’d highly recommend! 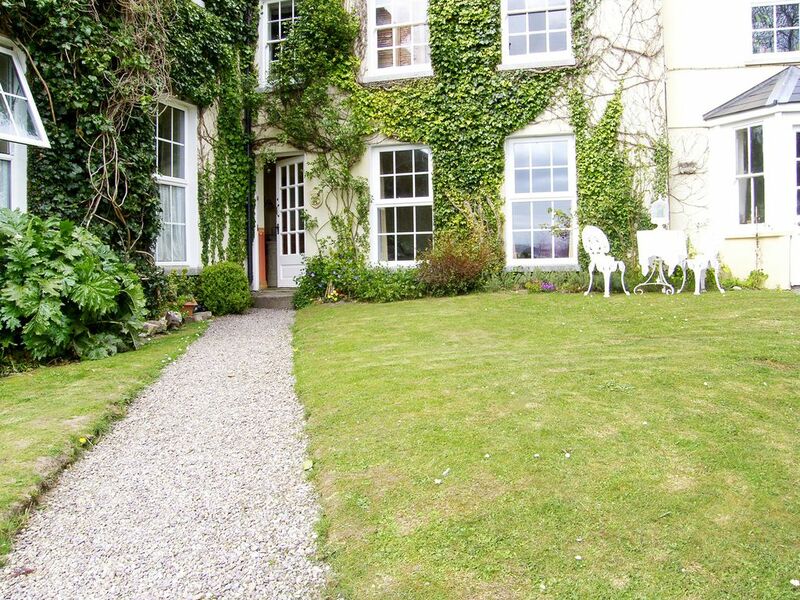 The property is a well appointed ground floor annexe that forms part of a large family home facing the bay of Cork situated in 10 acres of lovely grounds that run down to the foreshore with access to a stoney beach. We were given a warm and informative welcome by Richard and greeted with provisions for tea and scones left by Clare in the well equipped and spacious kitchen. The front room looked out to the bay and provided a cosy and comfortable living space. The address is a short car ride down country lanes from the town of Cobh and the route passes through the small village of Baltimore. The only down side for us was the lack of a pub within walking distance but the property was ideal for exploring the coast of Cork by car and there are plenty of shops and places to eat in Cobh. We would definitely stay at this property again if we come back to this lovely part of Ireland. The apartment at Cobh was everything one could want for a quiet secluded getaway. It was well appointed and comfortable offering a variety of settings for one to enjoy...gardens, harbour views, shore walks. Our hosts were welcoming and helpful. While off the beaten path there were many things within driving distance to occupy the day. Can you describe heaven? Well this is a small piece of it ! Words can’t describe the peace one gets while experiencing this home away from home! You will feel the care and love! I will bring my granddaughter when next I go! With the greatest Host and Hostess that I am honored to have stayed and extremely grateful that they made my dream come true! We had a great time at the home. It was outstanding. We loved the view and it was very calm and green. Our hosts were gracious and very welcoming. What a lovely home. They made our time in Ireland one that we will always remember.